Public outrage on display Part 1: Some thoughts on the Broussard sentencing. A day has elapsed since yesterday’s sentencing hearing for Karen Parker, Tom Wilkinson and Aaron Broussard in Judge Head’s temporary courtroom on Camp Street and the accounting by the media of yesterday’s events is almost complete, “almost” being because I have not chipped in my two cents worth. First up I need to highlight Jason at American Zombie, Editilla at the Ladder and Mark Moseley aka Oyster over at Your Right Hand Thief for the hat tips and support. There are people taking real personal risks telling this story besides me and they deserve the recognition. To those guys I’ll add I have sources whose families have been threatened because word has gotten out they spoke with me. I can honestly say I’ve never been prouder of those of you that have entered the crucible with me despite the personal risk telling this story entails. Head said he considered a series of regular payments from Kenner businessman Bill Mack to Broussard as a single bribe for parish business, not several. And he downplayed Broussard’s “leadership role” in the payroll fraud conspiracy that gave the parish president’s then-fiancée, Karen Parker, a public job for which she was not qualified and at which she rarely worked. As a result, the judge calculated the sentencing guidelines range to be 46 to 57 months. Broussard faced a maximum of 15 years for the crimes, a sentence likely cut down because of his clean criminal record and his cooperation. Head, a Texas judge appointed to the Broussard case, further reduced the sentence, citing a number of disagreements with recommendations from the U.S. Attorney’s Office and the federal probation office. The government recommended sentence enhancements for accepting multiple bribes from Mack. But, Head pointed out, those bribes resulted from a single agreement. “A bribe paid in a series of installments is one bribe,” he said. Head also struck down an enhancement based on an assertion that he was the organizer of a bribery conspiracy involving five or more people. The deal, the judge said, was strictly between Broussard and Mack. Broussard originally faced 58 to 72 months behind bars, but U.S. District Judge Hayden Head reduced the sentencing guidelines and only ended up giving Broussard 46 months. In court, Judge Head, brought in from Texas, disagreed with prosecutors on how some of the charges were counted, thus deciding to change the sentencing guidelines. Legal expects (sic) expected Broussard to receive a sentence in the five to eight year range. The Texas judge handling Broussard’s sentencing said prosecutors had double counted his bribe payments. Judge Hayden Head also appeared to downplay the hiring of Broussard ex-wife Karen Parker as a paralegal supervisor even though she lacked the proper credentials to do the work. The apparent light sentence caught many court-watchers by surprise, given the nature of the public corruption charges. Drew Broach got it the closest while the Gambit oversimplified things to the point of being misleading. I did not expect much from the TeeVee media though Chick Foret’s analysis always seems both informative and amusing. Author Douglas HandshoePosted on February 26, 2013 March 14, 2014 Categories SopTags Aaron Broussard, Bill Mack, Karen Parker, Nova Scotia Enterprises, Roy D'Aquila, Tom Wilkinson, USA v Broussard, USA v Mack, USA v Parker, USA v Wilkinson15 Comments on Public outrage on display Part 1: Some thoughts on the Broussard sentencing. Aaron Broussard and Tom Wilkinson coming to a small screen near you….. But first a word from our sponsor. Author Douglas HandshoePosted on October 31, 2012 March 14, 2014 Categories SopTags Aaron Broussard, Jefferson Parish Political Corruption Scandal, Tom Wilkinson, USA v Broussard, USA v Wilkinson, Vandenweghe v Parish of Jefferson & Theriot, Workplace retaliation2 Comments on Aaron Broussard and Tom Wilkinson coming to a small screen near you…..
What I do not understand is why TheRiot turned to the Parish’s Homeland Security people instead of Human Resources when he sent Anne Marie Vandenweghe home back in February, 2010 while claiming she was a deadhead employee that did nothing but blog on company time? Drew Broach has the skinny on today’s festivities scheduled in Judge Head’s courtroom including new business with the newly flipped former Parish Attorney Tom Wilkinson. Also on tap are change of venue and Broussard’s earlier motion to have the bulk of his indictment tossed. As far as legal brief writing, this pleading is D, maybe D-, work. Poor grammar, syntax and typos abound. It’s also hard to understand the presentation of the case law that is supposed to be supportive of AB’s position. And now there is only one defendant left in the Aaron Broussard payroll fraud/bribery scheme and that would be the Goatherder in chief. Gordon Russell has all the skinny for the Times Picayune. Drew Broach is on the PACER beat for the Broussard/Wilkinson prosecution and he filed a story this afternoon that quotes extensively from the legal filing, which can be found here. First, the indictment alleges that Mr. Broussard, Mr. Wilkinson and Mr. Whitmer, the alleged conspirators, hired Karen Parker for the position of Paralegal Supervisor despite her lack of qualifications for the job. 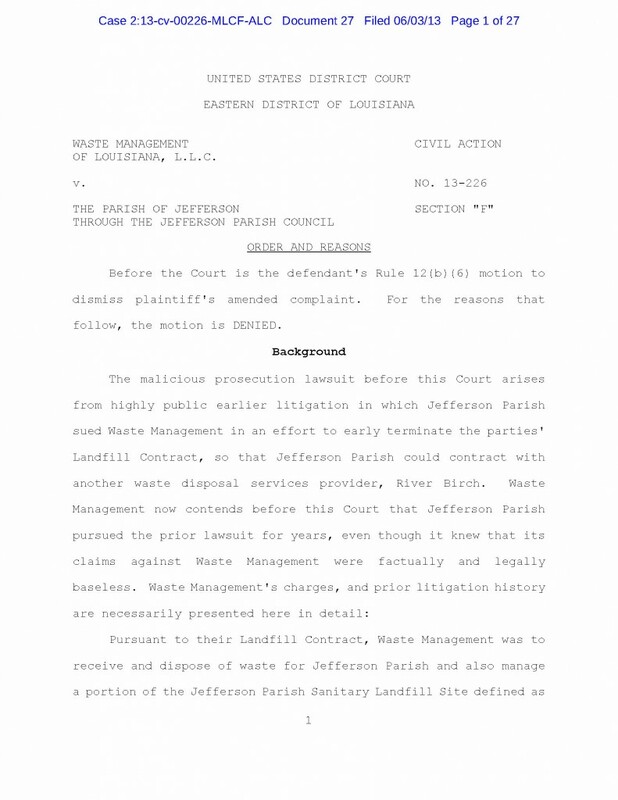 It further alleges that the conspirators arranged to transfer Ms. Parker from the Parish Attorney’s Office to ID Management, but allowed her to retain the same position and salary even though she did not perform the essential functions of that position. 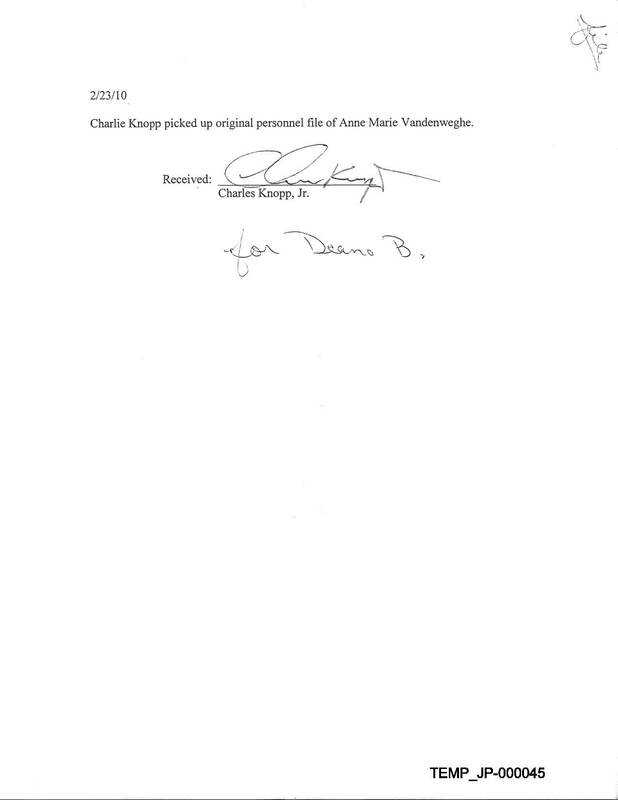 Yes I can verify Jefferson Parish Council Clerk Eula Lopez….. It is true, Eula Lopez is related to Tom Wilkinson, as Tom is married to Eula’s sister. Ms Lopez is one of 7, one of her other sisters being West Jefferson Medical Center’s Nancy Cassagne. The tea leavea tell me things are heating up. Author Douglas HandshoePosted on July 13, 2012 March 14, 2014 Categories SopTags Eula Lopez, Nancy Cassagne, Tom Wilkinson, West Jefferson Medical Center1 Comment on Yes I can verify Jefferson Parish Council Clerk Eula Lopez…..
Let’s start with that Goatherder also known as the Toolman at WWL Tee Vee along with legal analyst Chick Foret. I believe it was Slabbed that first reported Broussard’s indictment diet as it is clear Aaron, like his late former lawyer/business agent Roy D’Aquila, has a few butterflies on his tummy tum tum. I mention it because Broussard was yammering about it yesterday while making nice with the assembled main stream media as illustrated by the next 2 links.